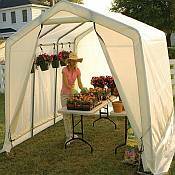 The 12' x 12' x 8' Hobbyist Greenhouse is a great starter greenhouse for your backyard, patio, or garden. 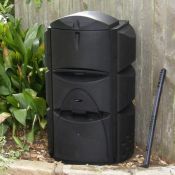 This series delivers quality construction and a great value. Constructed of a 1-5/8" steel frame bonded with a Dupont™ thermoset baked on powder-coated finish that prevents chipping, peeling, rust, and corrosion. The triple layered rip-stop cover is waterproof and UV treated inside and out with added fade blockers, anti-aging and anti-fungal agents to aid in protecting the fabric from the elements. 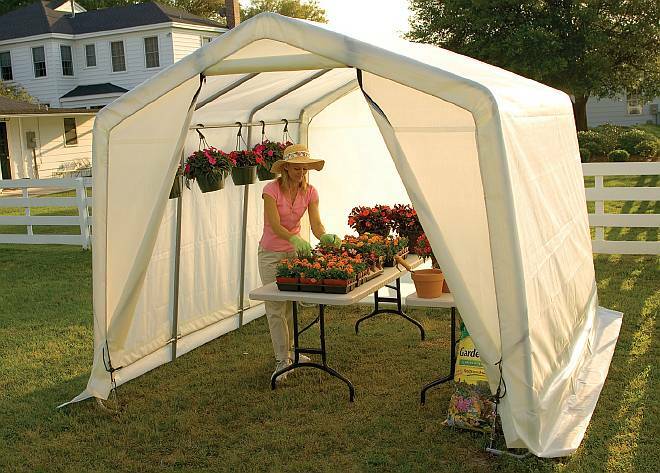 The 12' x 12' x 8' Hobbyist Greenhouse includes swedged tubing for slip together assembly. 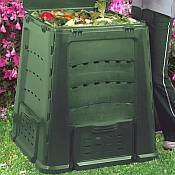 The Hobbyist Greenhouse is the perfect solution to get a jump on early season plants and vegetables. This is not recommended for year round use.